Are you thinking of installing a new lawn? With so many options now available on the market, decision making can become difficult and overwhelming. Below are the five most common types of lawn in Australia. Buffalo is a durable, easy maintenance grass characterised by its wide leaf blade. In the past, it had a reputation for being scratchy and irritating to the skin, however this has changed thanks to the development of new soft leaf varieties such as Matilda and Sapphire. Couch is a fine leaf, quick growing lawn popular amongst many Australians. It produces a soft, lovely looking lawn that is able to withstand generous amounts of wear and tear. Couch requires regular mowing in the warmer months. It is also a good idea to de-thatch when necessary to ensure the lawn remains in optimal condition. 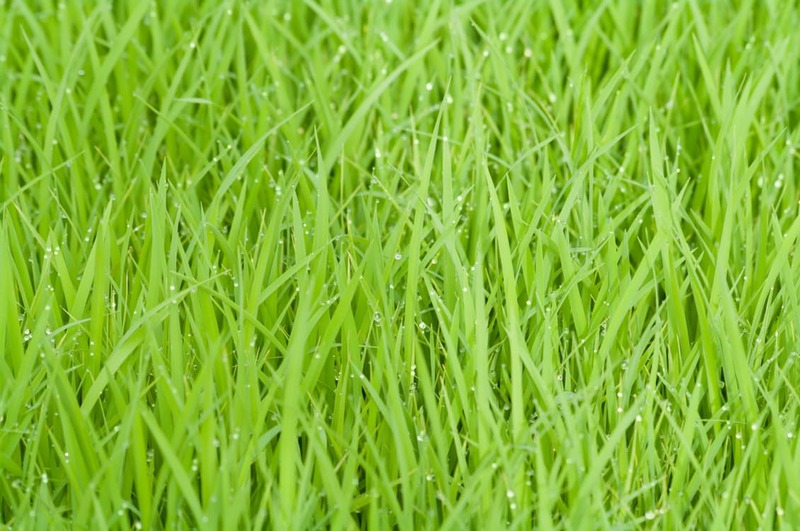 Kikuyu is a soft, bright green grass with a medium width leaf. It is named after the most populated ethnic group in Kenya, thriving in the heat, humidity and full sun. Kikuyu is extremely fast growing, even in areas with poor soil condition. It is a popular choice for parks, ovals and other areas with high durability requirements. Although Kikuyu grows very quickly and is easy to care for, it may become high maintenance during the summer months if frequent mowing is required. Male Sterile Kikuyu is an excellent choice if going with Kikuyu grass as it is slighter higher in quality. It also has sterile seed heads, preventing the lawn from spreading into your neighbour’s property or into public spaces. Queensland Blue is a blue-toned green grass that thrives in both the heat and humidity. It is easy care, with low invasive properties. It is subsequently a popular choice for homeowners as it is both low maintenance, however it’s growth does not easily spiral out of control. The only downside to Queensland Blue is that cannot tolerate weed sprays. Despite this, there are new, herbicide-resistant, strains of Queensland Blue that are being developed. Zoysia grass is a warm season, low maintenance grass that is suitable for both homes and public areas. It has high tolerance to heat and salt as well as low mowing and fertiliser requirements. Zoysia also has low invasive properties so it will not spread undesirably into neighbouring properties or public spaces. RealDeal provide lawn and garden services across the Sydney Metro area. Click here to get in touch regarding your gardening needs.